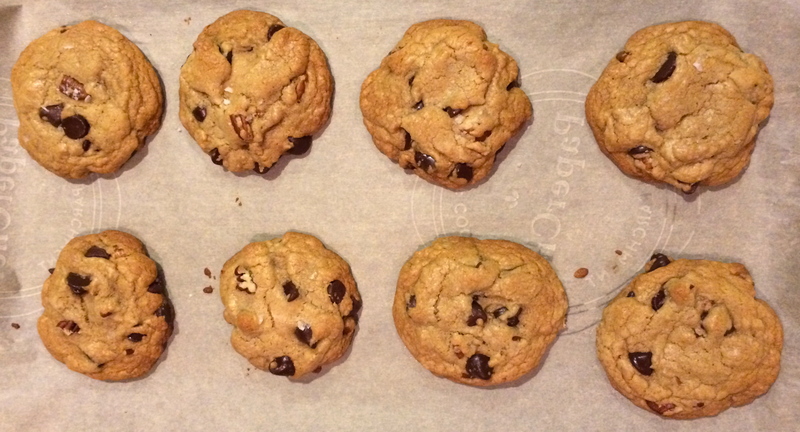 My sister is the baker in our family, and her chocolate chip cookies are sensational. Maybe I’m biased, but it’s true. 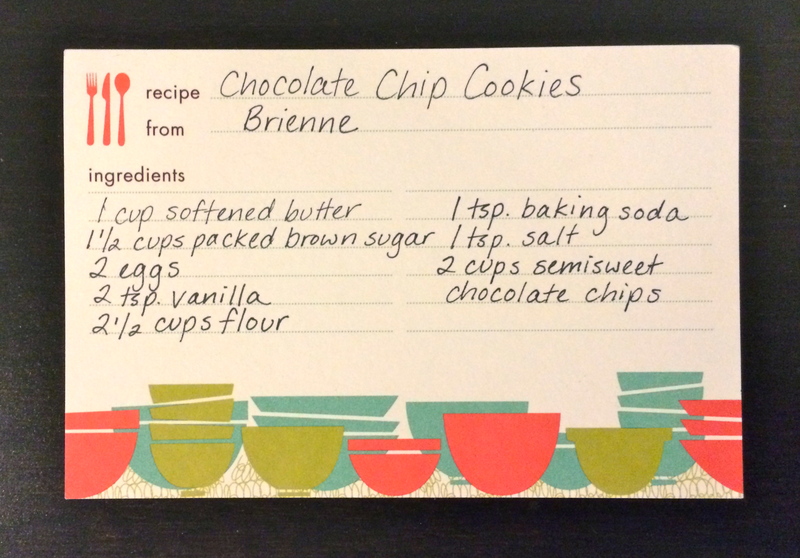 She passed on her recipe to me about 2 years ago and I had yet to make them because I lack the patience, precision, and mathematical prowess inherent to most accomplished bakers. But look at these beauties! I subbed out half the all purpose flour for whole wheat, browned the butter slightly, and cut the chocolate in half to sub in some pecans, but otherwise this recipe is a direct copy from my sister. I also sprinkled them with flaked Maldon sea salt. Because why not, right?? They tasted as dreamy as they look. And I ate several on the couch last night. Important note: you don’t need to eat them on Sundays. They can cure the Mondays. And just taste great on all other days also. Set oven to 375 degrees. Prepare the dry ingredients: Sift together the flour, baking soda, and salt in a large bowl. Prepare wet ingredients: Melt the butter. In a separate bowl from the dry ingredients, cream together with brown sugar until smooth. Add in the eggs and vanilla. Add the sugar/butter/egg/vanilla mixture to the flour/baking soda/salt mixture, mix until just combined. 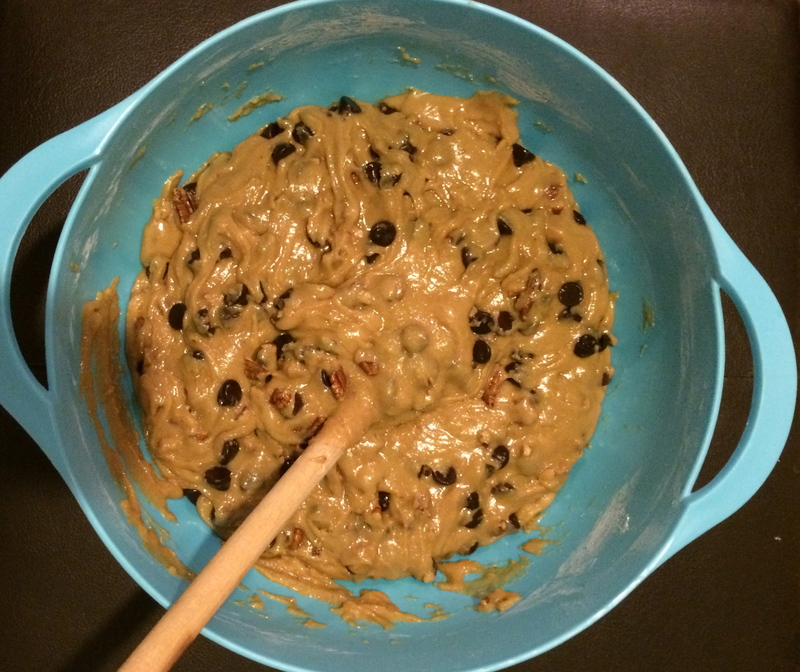 Add semi-sweet morsels and chopped pecans to the batter and fold into batter. 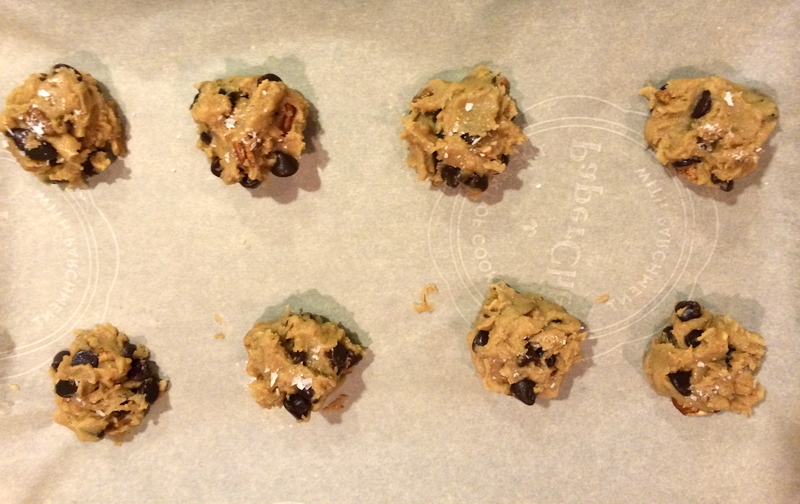 Using a tablespoon as a measure, form into balls and set on parchment paper lined baking sheets. Sprinkle the top of each with a couple flakes of sea salt. Cook for 10 minutes until cookies are just set. Remove from the oven and let stand on their baking sheet for 5 additional minutes to finish cooking, then transfer to a cooling rack. 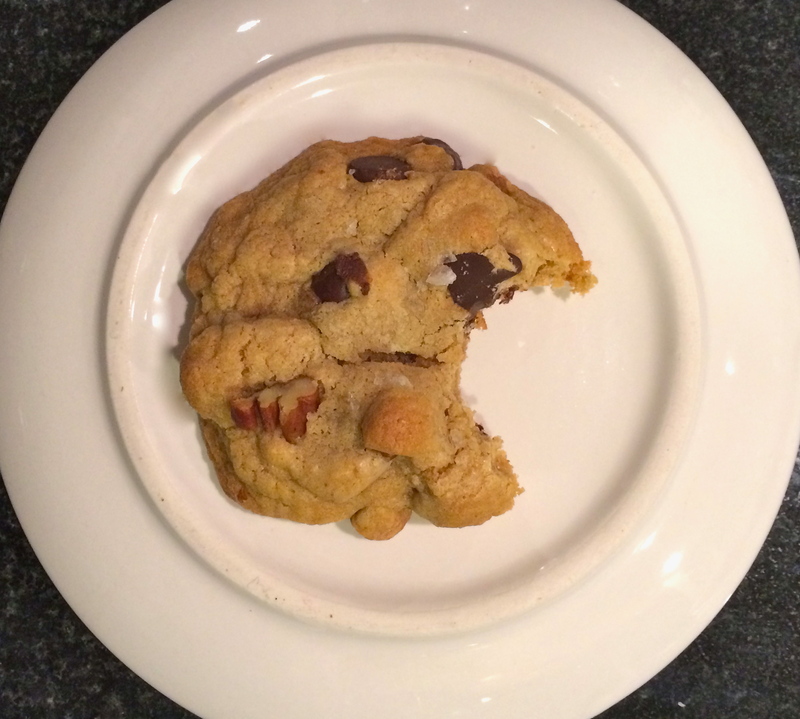 Cookies will be cool enough to eat in 10 minutes. Try to contain yourself.